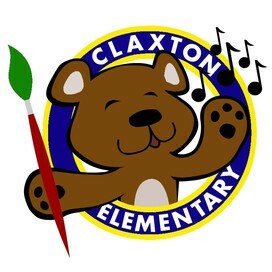 Join us this coming Sunday, April 22nd, from 12-4pm for a Claxton Grounds Workday! We invite all students, staff, families, and the community to spend a fun afternoon together, maintaining and beautifying our school gardens and grounds, on Sunday, April 22nd from 12pm-4pm. You don't need to have a green thumb or gardening experience to come! 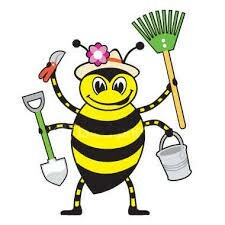 We'll be cleaning the grounds; weeding our vegetable, perennial, and pollinator beds; spreading mulch on the playground; and taking care of a few other maintenance tasks on our wonderful campus. 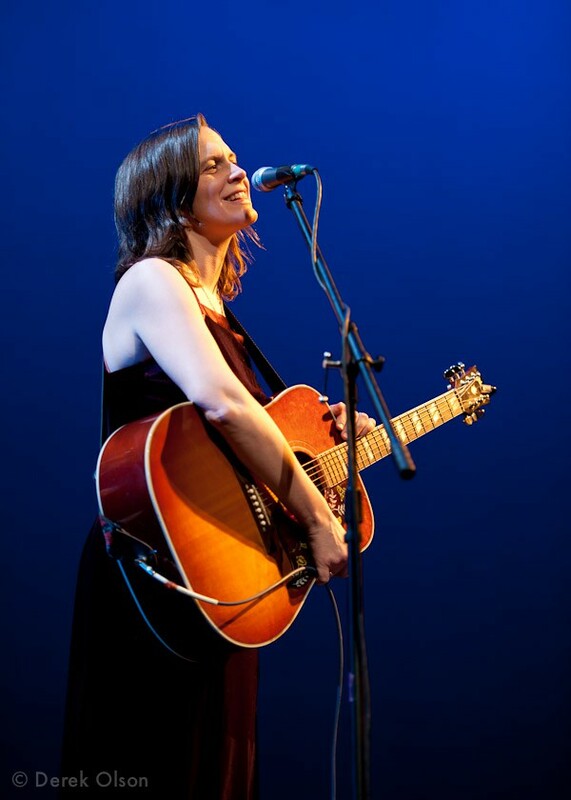 If you have garden tools, please bring trowels, hand pruners, shovels, rakes, and wheelbarrows. If you don't have any tools, we have a few in the garden shed to share! 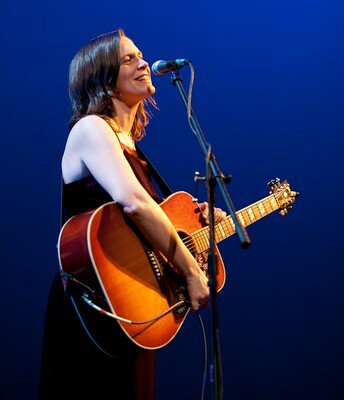 Snacks and drinks will be provided, and kids are most definitely welcome! 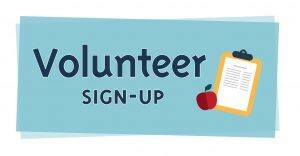 Email our Claxton PTO Grounds Chair, Tricia Johnson, at tiller91@bellsouth.net if you have any questions. 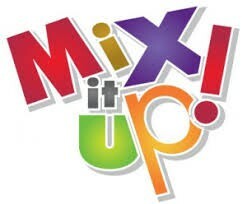 Our next Mix It Up at Lunch Day is on Tuesday, April 24, which is also our CLX Bee Day! 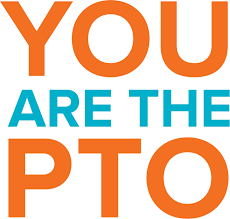 We'd love to have you at Claxton during lunch to help facilitate conversations and to mix it up! 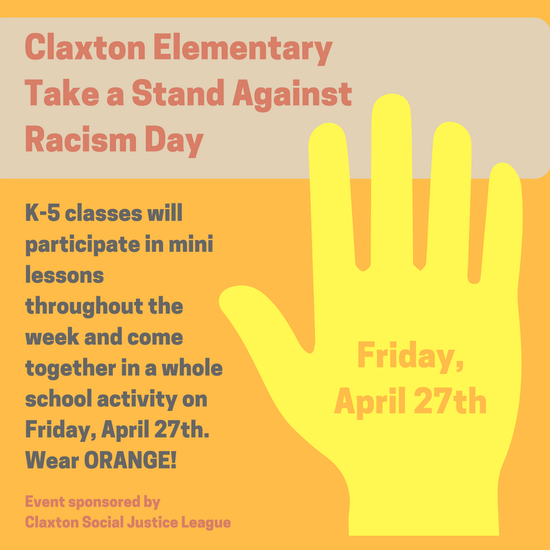 Contact Claxton Counselor Mark Ackerman, mark.ackerman@acsgmail.net, if you would like to help. If you've ever wanted to become more involved at Claxton and didn't know where to start, your chance is here! 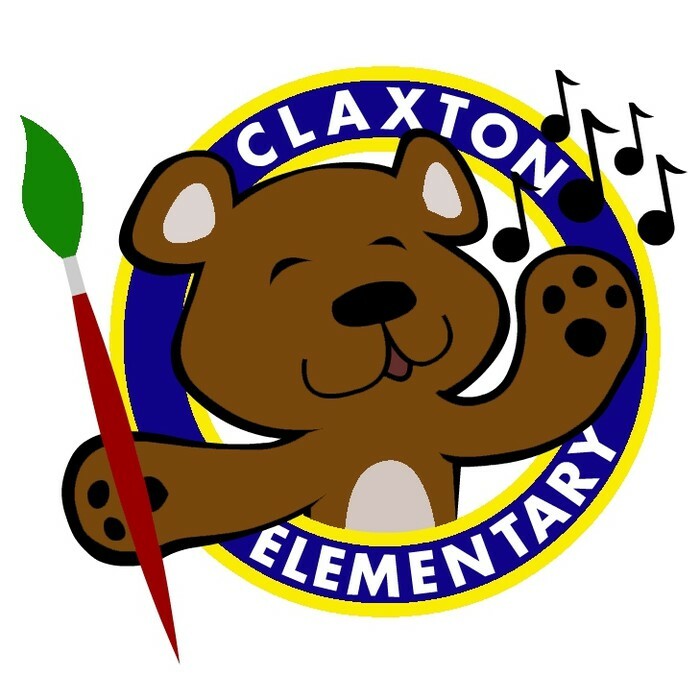 The Claxton PTO needs you and your awesome ideas and talents to help make all of our exciting opportunities at Claxton possible. We are looking to fill several positions for the 2018-2019 school year. No experience is necessary; you only need to bring enthusiasm and dedication to helping Claxton become the best it can be! The following PTO positions are open to all parents or caregivers of Claxton students. 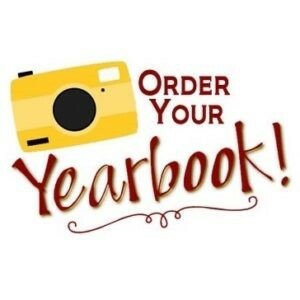 If you are interested please reach out to Molly Russell, PTO Co-President, at mollyjrussell@me.com. Even if a leadership role isn't a good fit for you at this time, we would love to have you join us for PTO meetings! The CLX PTO meets on the first Tuesday of every month at 6:00 pm in the Claxton media center. Please click here for details about the roles listed below. Thanks to grant funding from the Asheville City Schools Foundation, Claxton 4th graders recently worked with local musician and resident teaching artist Laura Blackley to learn about blues and roots musicians of Western North Carolina, with a specific focus on Nina Simone, Etta Baker, and Doc Watson. 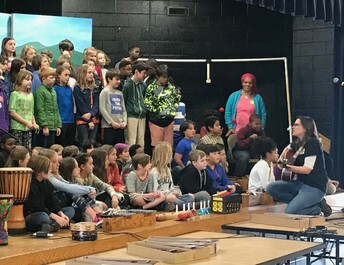 Students prepared songs for a special performance that culminated the artist residency experience at a school assembly on Tuesday, March 27th. Claxton has several current needs for one-on-one and small group volunteers in the classroom setting. One of these opportunities focuses on helping 2nd grade students with reading fluency work, and another opening is being paired to work one-on-one with kids in their grade level classrooms during various learning times. Please contact Miriam Scott, Claxton Volunteer Coordinator, at miriam.scott@acsgmail.net if you are interested in helping us meet these needs. 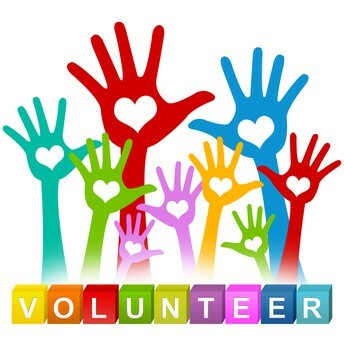 As a volunteer, you are an important part of the school community. 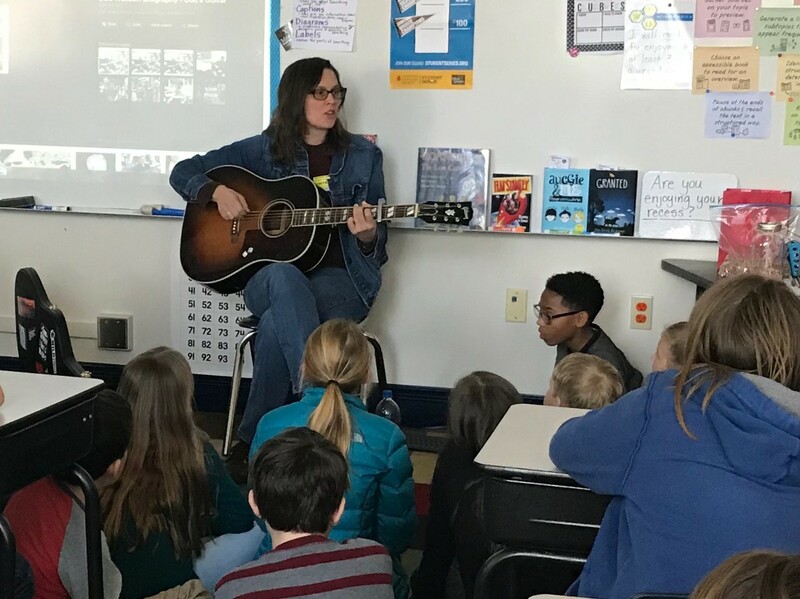 When you become a volunteer, your work takes on special significance -- though you are not part of the staff, you share the same responsibilities that paid staff are held to while engaged with students. We are THANKFUL for all of our volunteers! Please click on the link below to complete a background check. This background check is required for anyone who may work in the classroom, serve as reading and math tutors, extracurricular coaches, mentors, and overnight field trip chaperones. It only takes a couple of minutes to fill out the information, and once it is returned (usually within a week), you are all set to go. 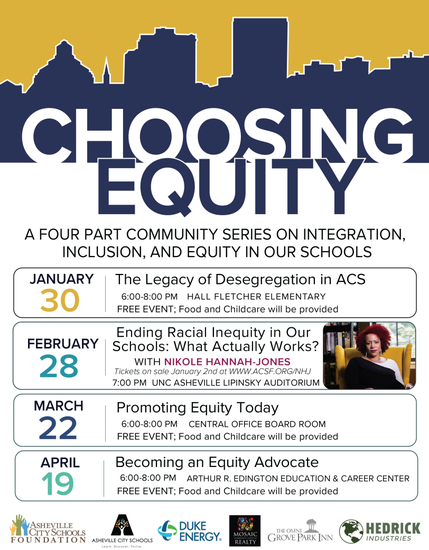 If you have any questions, please email Miriam Scott at miriam.scott@acsgmail.net. 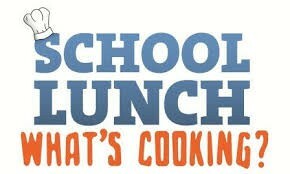 Here's a handy link to the ACS April school lunch menu! Thank you to our 2017 Sponsor, Blue Ridge Pediatric Dentistry! The Village Group of Oppenheimer & Co. Inc.